In the early 1900s, where Hotel Kai stands now, was a pre-war shophouse that was home to many Hainanese immigrants and travellers. Today, the shophouse has been beautifully restored into this boutique hotel that has a unique blend of history and modernity. This carefully-conserved boutique hotel is located within the proximity of 4 MRT lines – talk about convenience! – and has the furnishings and amenities comparable to that of a premium hotel. 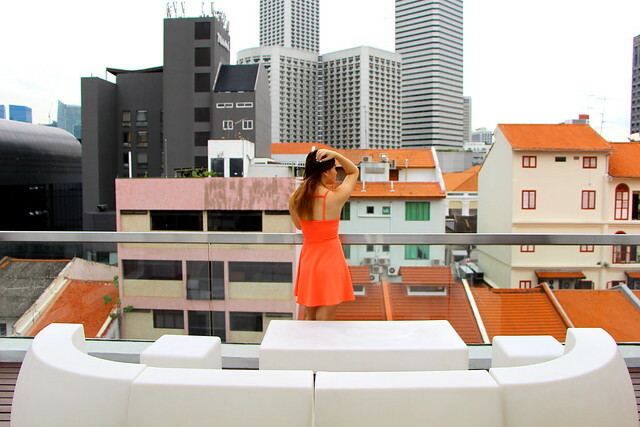 Featured in this post is their Urban Skyloft, the top of their Suite series! Read on to find out more. 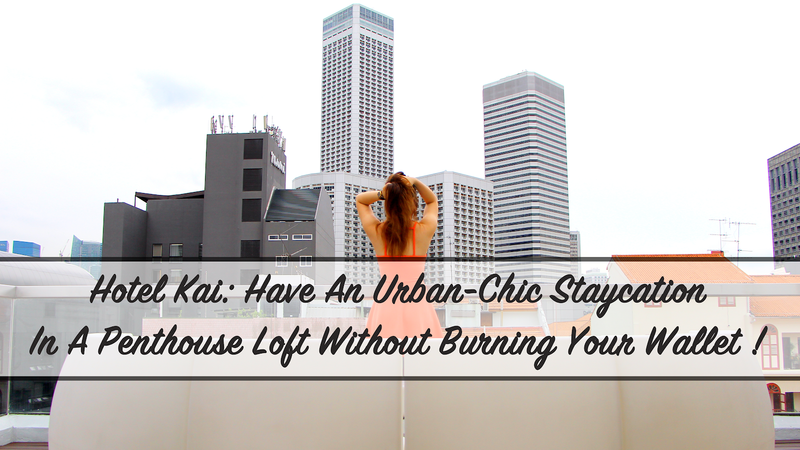 Back in June, I stayed for a night in the Urban Skyloft at Hotel Kai. 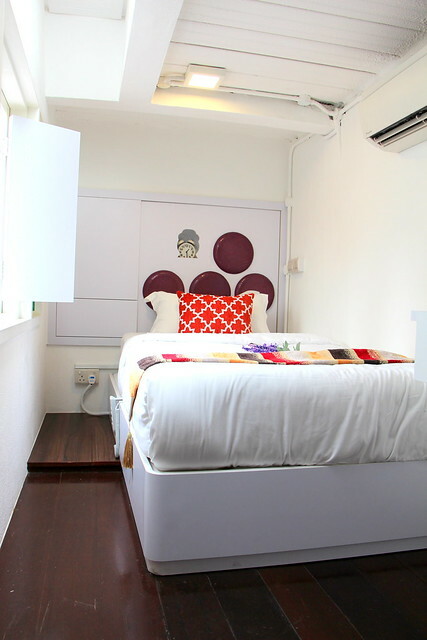 This room is situated at the highest floor of the shophouse. It is completed with high ceilings, framed with timber-slated windows, floored with beautiful dark marble tiles, has a spectacular open sky terrace and a fully equipped kitchenette. It was a dream to live in, and an absolute photo-worthy room. The Urban Skyloft takes up 37sqm and has two floors within the room. The lower deck contained a Queen-size bed, the kitchenette, the bathroom and the open sky terrace. On the other hand, the upper deck contained a Super Single bed with a smaller balcony. The spacious room can accommodate 3 adults comfortably, and it makes a brilliant venue for cozy birthday parties. So you can incline the bed to your preferred level, lie back and enjoy your TV show! There is no room service menu available in Hotel Kai. However if you do wish to dine in your room, head down to the lobby level to order food from the hotel's restaurant Bistro Kai, and put in a request for the food to be sent up to your room! The rooms at Hotel Kai comes with a complimentary breakfast buffet on the next morning. 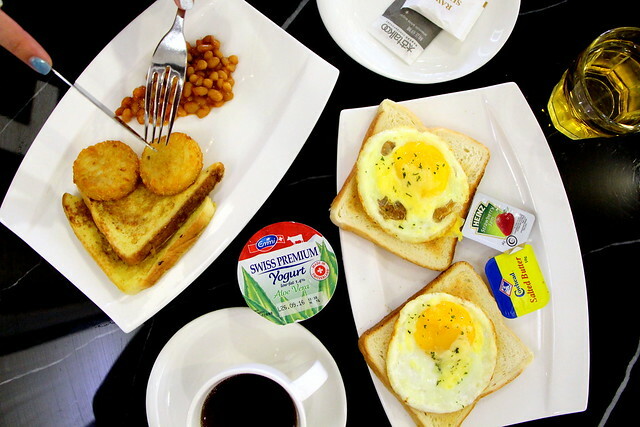 The breakfast spread is simple and comforting, with nothing lavishing. 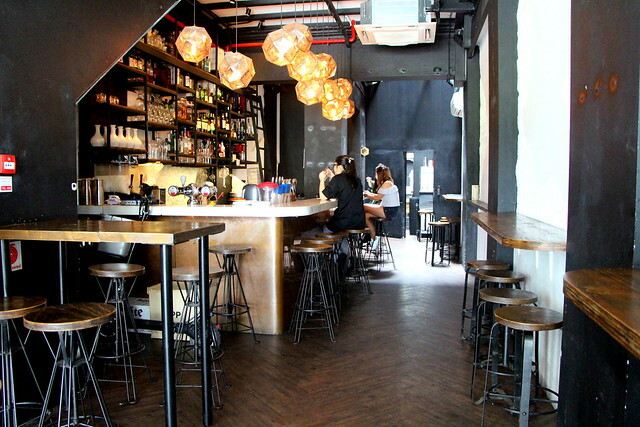 If you are keen to find out more about the dinner mains and $5 draft beers available at Bistro Kai, click here for the food review that I did some time back. Dine within the comforts of an air-conditioned room, or have it the alfresco way! The open sky terrace makes a brilliant place to take in a breath of fresh air when you've gotten sick of recycled air, or to sit and gaze relaxingly at the stars and constellations at night. We caught a lightning storm during our night there, and it was a symphony of fear, science and beauty. You can think of the Urban Skyloft like its a serviced apartment. With a fully functional kitchenette, you can cut some fruits, prepare a simple meal with the aid of the installed microwave oven, or use the washing machine to get a fresh set of laundry! 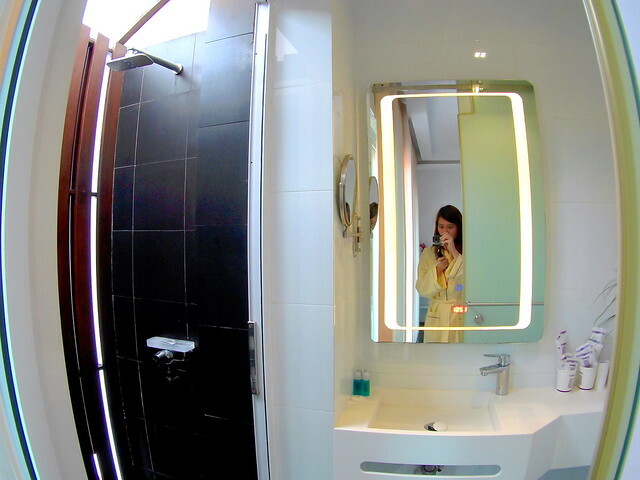 The bathroom is segmented into two areas: the lavatory and the shower space. 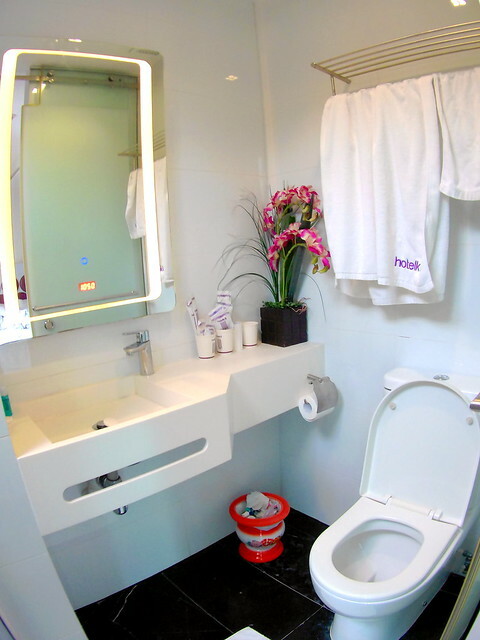 It is well equipped with the usual toilet amenities such as toothbrush, toothpaste, cotton buds, shampoo, shower gel, shaver, shaving cream and etc. FYI the nostalgic Spitoon is the trash bin and you can find one in every room at Hotel Kai. Hotel Kai is definitely a hotel that you should look at if you are tight on budget. The cabin and studio rooms are priced at $150/night, before applying their 30% early-bird promotion or 40% last-minute discount. The suites are a tad pricier – as expected – but are definitely cheaper than the suite rooms at big name hotels. Not to mention, it is well furnished with equipments like the microwave oven and washing machine, which would be useful if you are intending for a long stay or a birthday party (microwave oven for heating up food, washing machine for washing puked-on clothes). The Urban Skyloft is also great for couples or small families who would like a weekend getaway staycation. You can have $5 draft beers – they serve Paulaner beer on tap – complete with delicious tapas and satisfying entrées at Bistro Kai, before heading back to your room to chill and relax. Do check out the hotel's website for other available rooms. The Urban Heritage or Heritage room are other great spots for hosting parties or small-scale conference events. For the latest updates in the promotions, like their Facebook page and follow them on their Instagram. Hotel Kai is currently having a 40% OFF when you book direct from their website. The PUTIEN franchise first began in Singapore at Kitchener Road, by a humble man who longed for his hometown food from the province of Putian. Today PUTIEN restaurants dot the planet, and in the Singapore Michelin Guide 2016, this PUTIEN restaurant was awarded its first Michelin Star. I had the greatest honour to grace their Michelin-winning restaurant and to try some of their signature dishes. 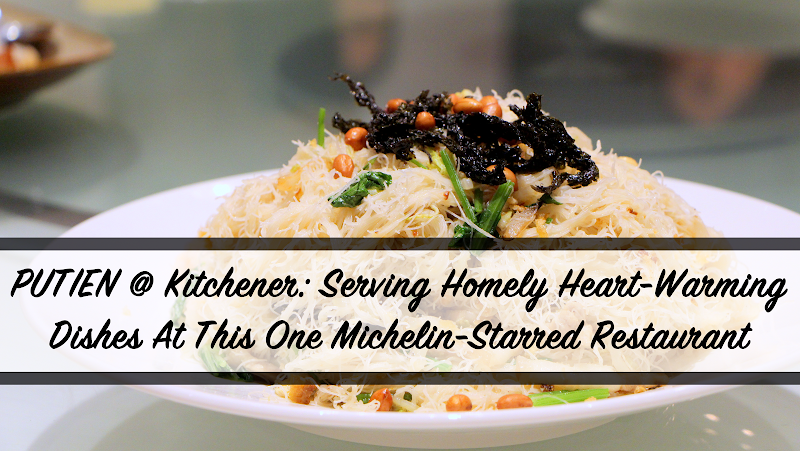 Read on to find out what I had at PUTIEN Kitchener. 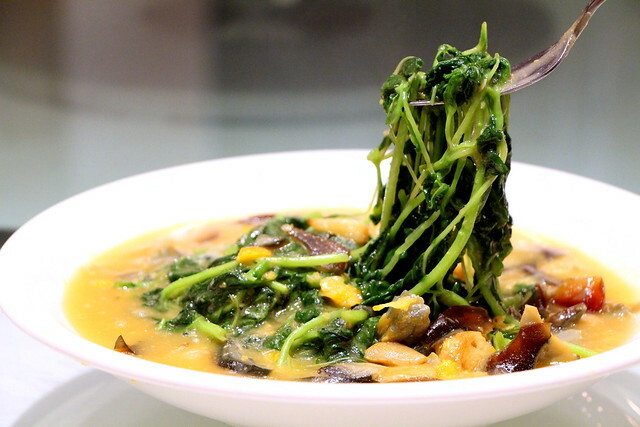 ‘Bian Rou (Wanton) Soup’ is a Fujian-ese specialty with more than 500 years of history. At PUTIEN, no efforts is spared in keeping this precious craft that originated from the Chinese imperial dynasty of Qin. The delicate Fujian-style wonton wrapper is made of pork meat. Each time, 3 hours of continuously pounding and rolling on the meat paste is required before it becomes as thin as paper, making the handcrafted wanton springy and palatable with every bite. PUTIEN Heng Hwa Bee Hoon is the only sundried vermicelli milled by hand in Putian. Unlike machine dried bee hoon, drying manually under the sun at the crack of dawn ensures that the bee hoon is translucent, silky, fine, chewy but not brittle. The rich, milky stock of pork bones and old hens is cooked for hours and infused with 10 sumptuous ingredients that adds flavour to the bee hoon. It is definitely one of their crowd favourites! You can probably tell from the food pictures above, the dishes served by PUTIEN are not foreign. We have had them before, in one way or another. And if so, how does PUTIEN stand out? That was the question in my mind, and all it took was a single bite of a dish for everything to click into place in my mind. 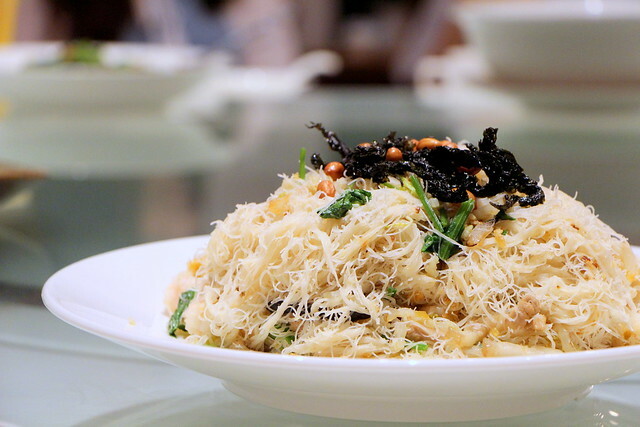 PUTIEN stands out from its competitors for its elevated flavours within a simple common dish. 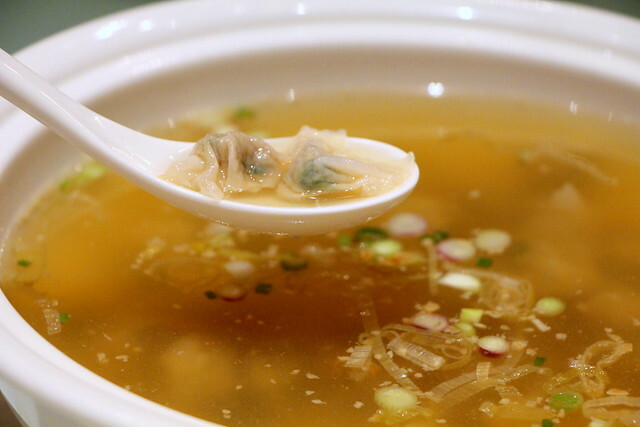 They paid attention to the smallest details, from the skin of a wonton, to the addition of lychee for a burst of sweetness, and fresh hand-crafted rice vermicelli that is flown in from Putian. I love all four dishes that I have tried, but my favourites would be the Sweet & Sour Pork with Lychees and Fried Heng Hwa Bee Hoon. We have all had sweet and sour pork before, but their Sweet & Sour Pork with Lychees is so different from all that I have ever tried. The crisp of the deep-fried pork, to the perfection in sweet and sour blend from the sauces, to that umami finish at the end of bite. As for beehoon, I am a huge critic of it because I am not a fan of coarse beehoon. I hate it when the noodles have gone soft and limpy and breaks everywhere. The Fried Heng Hwa Bee Hoon from PUTIEN was, however, a surprise. There was a sort of QQ texture to the noodles, and it was so silky and fine. I wiped my bowl clean in a matter of seconds, for I could not help but to eat in mouthfuls. It was the best fried beehoon that I had ever had! If you are looking for a casual dining space to host your family dinner or a laid-back venue for official affairs, this is the place to go. Make your reservation at (+65) 6295 6358. For more information, check out their website here. Note: This post was sponsored by PUTIEN and Affluence PR. 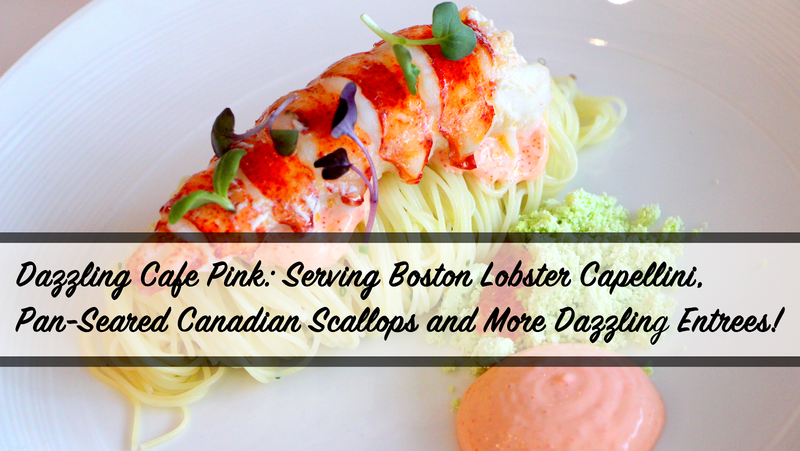 Dazzling Café Pink: Serving Boston Lobster Capellini, Pan-Seared Canadian Scallops and More Dazzling Entrées! Oh, that place that sells thick toast and has really long queues! Yes, Dazzling Cafe sells thick toasts BUT not only just that. The cafe has placed a substantial amount of effort into perfecting their dining menu which serves appetisers and main dishes that are as elegant as the desserts. 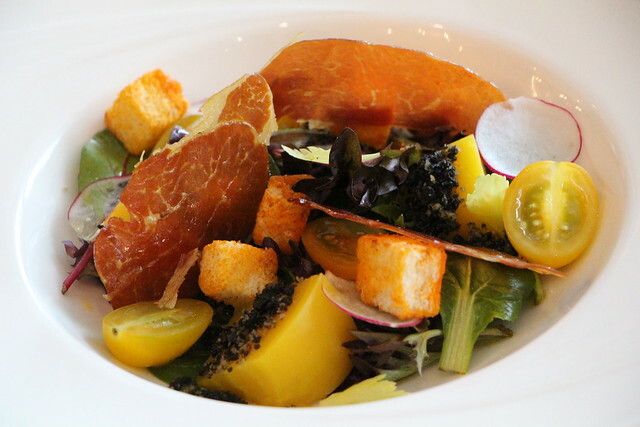 The Beetroot and Parma Ham Salad is one of the most unique and exquisite salads that I have ever had! Instead of the usual red beetroot that we are accustomed to, the chef has chosen to use pickled golden beetroot as it is sweeter and less harsh in its "veggie" flavour. 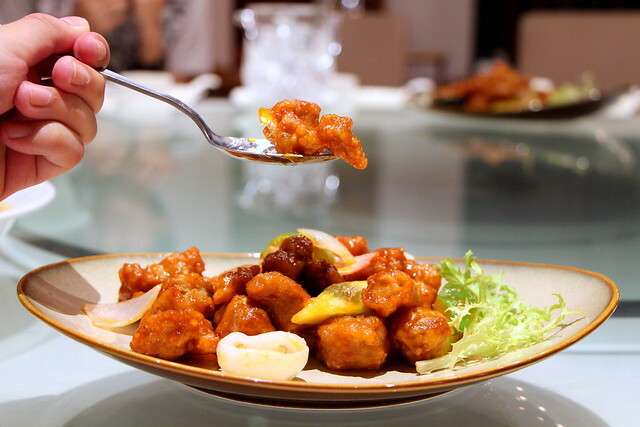 It is a nice appetiser to start as the dish is a combination of salty, sweet and sour! As for the Pan-Seared Canadian Scallop and Parma Ham... I was pleasantly surprised at the use of Canadian scallops rather than the usual Hokkaido Scallops. Shared by the chef, Canadian Scallops tend to be bigger in size and has a softer texture. 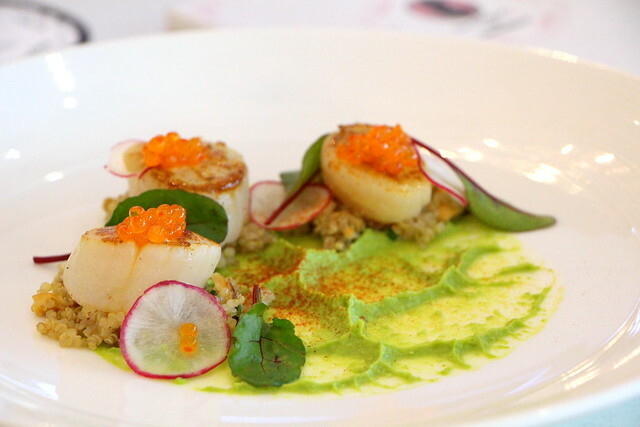 The perfectly scallops was a joy to have with the green pea purée, quinoa and dash of tobiko! 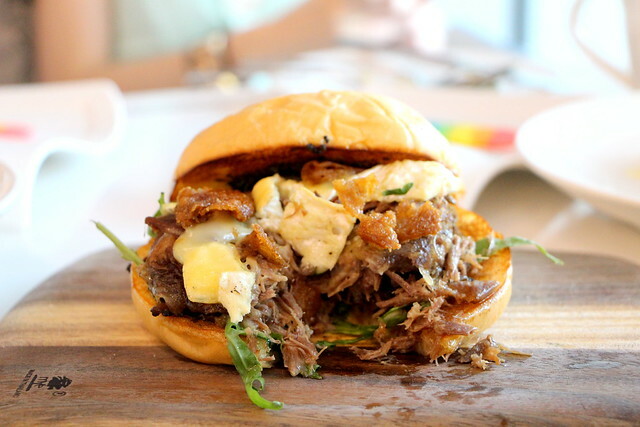 This Duck Confit Burger has got to be one of the most sinfully delicious burgers ever! 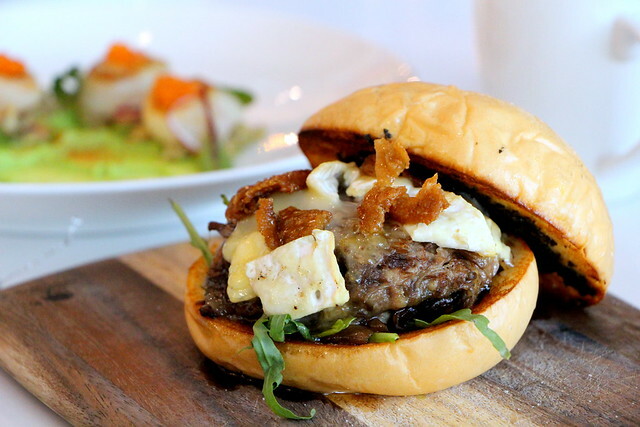 The moment that the burger was set down on the table, we were hit by waves of the alluring truffle smell. The chef took note of every small detail, from the initial hit of truffle to the immediate transition to the savoury flavour of camembert cheese, the juicy flavours from the duck confit, the earthiness from the mushrooms, and the gentle tinge of sweetness from the truffle honey... then everything converges and ends with the lingering fragrance of truffle on the tip of your tongue. If my mind was not already blown away by the Duck Confit Burger, their Lobster Cold Capellini did right just that! The refreshing pasta was a delight to have in the hot weather. 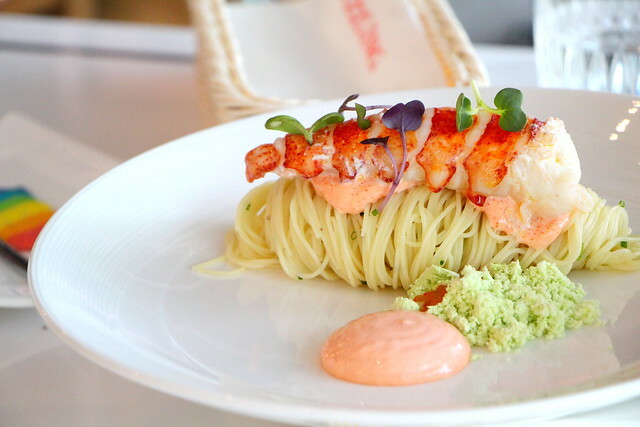 Furthermore the umami-inducing mentaiko mayonnaise held perfectly together the butter poached Boston lobster tail with the intricately-marinated capellini. 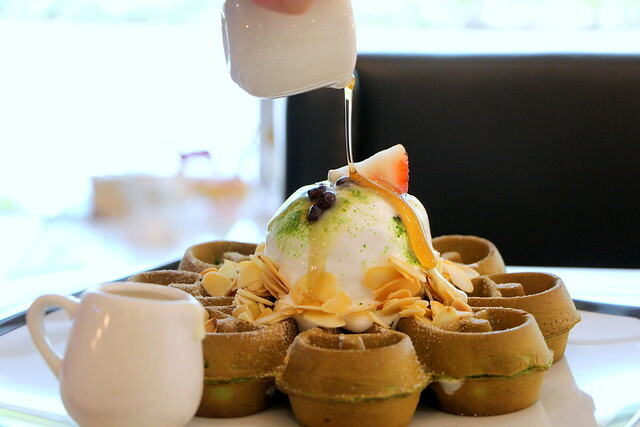 Instead of having Dazzling Cafe's Honey Toast yet again, why not try their Matcha Waffle with Azuki Beans ? It does not shy in quality, flavour or texture from their popular Honey Toast. 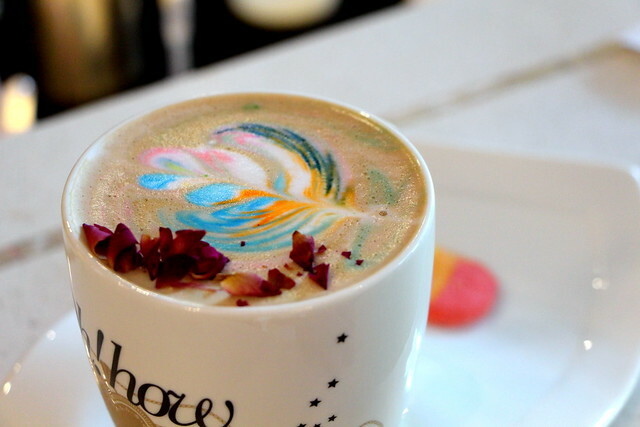 In fact if you aren't one for sweet things and whip cream, then this would be a brilliant option to go for! I like the play of crunchy almond flakes with the sweet-earthy flavour of azuki beans, topped with the surprise mochi bits embedded into parts of the crispy matcha waffle! 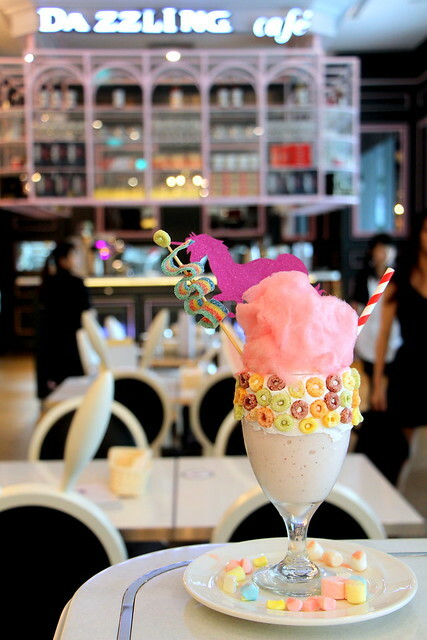 Dazzling Cafe Pink has its own variety of creative beverages, such as their Rainbow Latte or milkshakes. What astonished me the most was the price of the milkshakes – Black Monster and Pink Unicorn – as both are priced at only just $10!!! 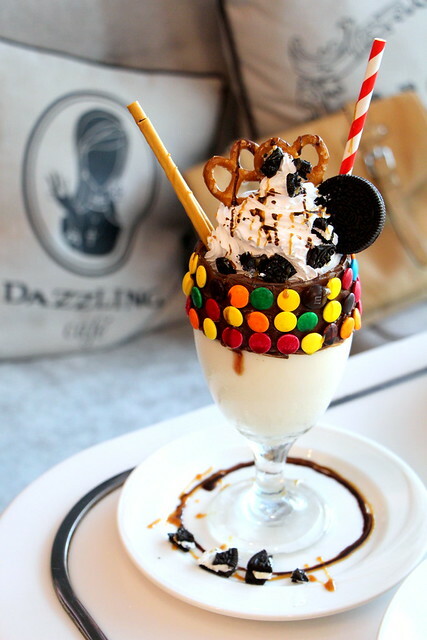 The amount of effort that goes into building each milkshake is unbelievable as the M&M chocolates are carefully stuck upon receiving the order (or the sugar coating on the M&M chocolate would melt) and the same goes for the Froot Loops cereal. 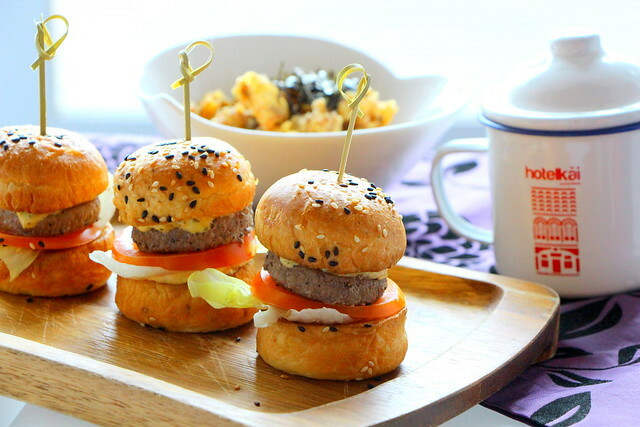 It is always a delight dining in the casual yet elegant ambience at Dazzling Café Pink. For more information on the latest promotions or offers at Dazzling Cafe Pink, check out their Facebook or Instagram page. Note: This post was sponsored by Dazzling Café Pink. I loooveee bibimbap! 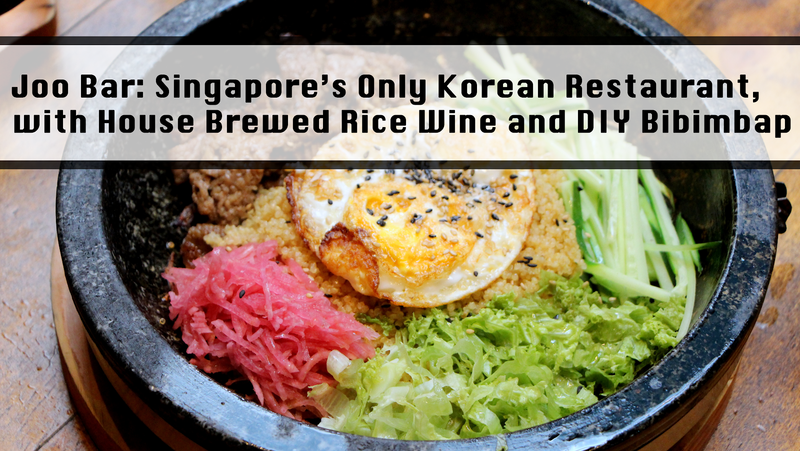 Bibimbap is one of the most common Korean dish to be found in Singapore and it is made using simple ingredients, and has a distinctively bright and cheerful appearance. 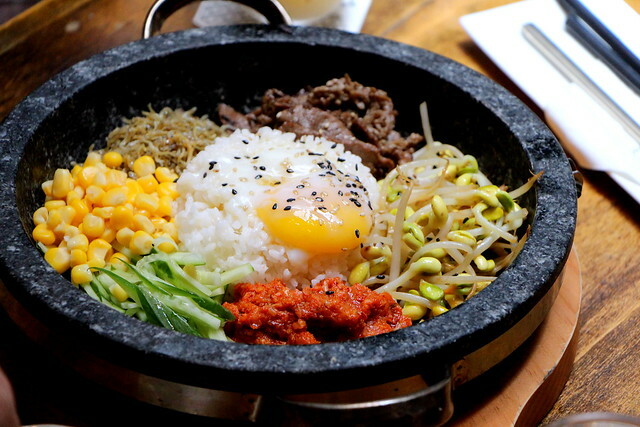 As easy as it seems to make a bibimbap, the choice of ingredients is crucial to the flavour and texture of this delicious dish. 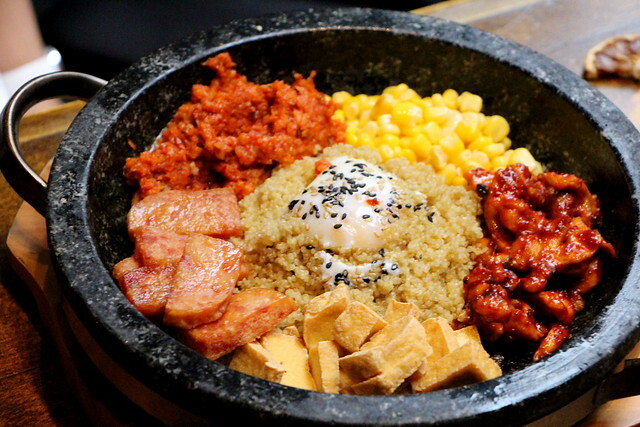 And that is why, I was so excited to know that at Joo Bar... YOU design your own bibimbap! 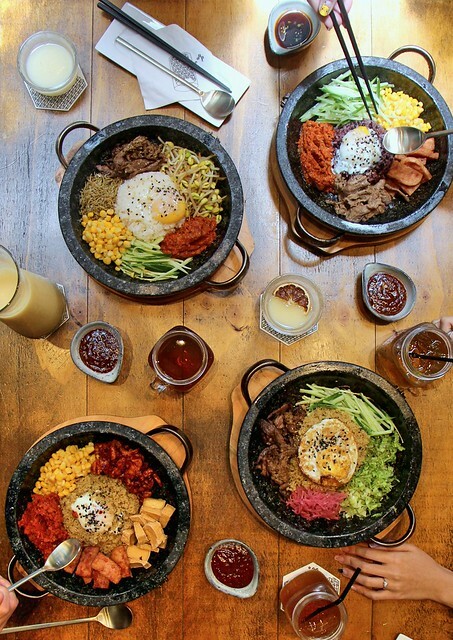 The standard price of a bibimbap at Joo Bar is $10.90! The price increases if you would like an additional serving or a premium ingredient. Select between the original Gochujang (red pepper sauce) or a non-spicy soy sauce. Drinks such as Korean Plum Juice or Sikhye (Korean Rice Drink) and more, are available at $3. However if you are able to take alcohol, I would strongly urge you to try their in-house brewed Makgeolli (Korean Rice Wine) as it is one of the restaurant's speciality!! Here is a tip when selecting ingredients for your bibimbap, aim less for what you like to eat and place more focus on the colours in your bowl. 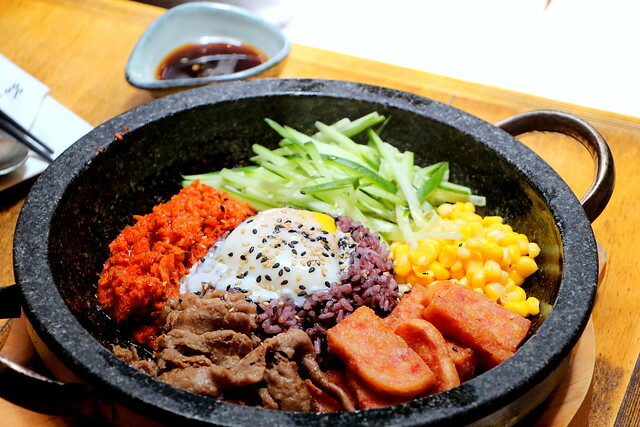 The essence of a tasty bibimbap is a good variety of colours, which would in turn ensure you a flavourful Korean rice dish! For more information on their latest promotions, check out their Facebook or Instagram. You've probably never heard of NoTS Korea before, and that's okay because so haven't I until they reached out to me. NoTS represents, "Noble Through Skin". The cosmetics company's aim is to create beauty products using natural ingredients with the latest cosmetics technology, to help us to achieve and emit a sense of nobility through clean and glowing skin. At this point of the post, you're beginning to wonder, what's the difference between NoTS and all other cosmetics brands then? 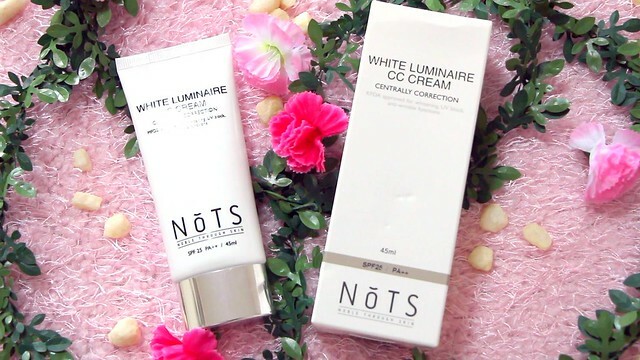 NoTS believes in improving our facial skin condition, therefore their products does not only aim to cover flaws but also to get rid of those flaws for good!! I have been a frequent user of cosmetics for half a decade now, and this is the first time that I've experienced a company who could produce makeup products that ACTUALLY does improve my skin!! I could barely believe what I saw with my eyes, and the difference was so noticeable after one use that even my boyfriend could tell. 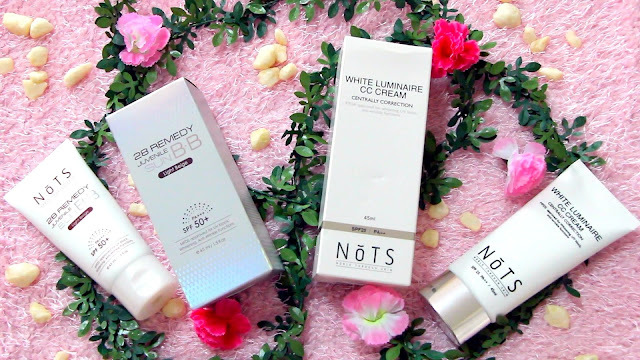 Read on to learn more about them products, and watch the video for my experience with these two products as I wore and recorded my review throughout the day! A functional element 'sargassum muticum’ contains abundant minerals and vitamins has an excellent skin-soothing effect. 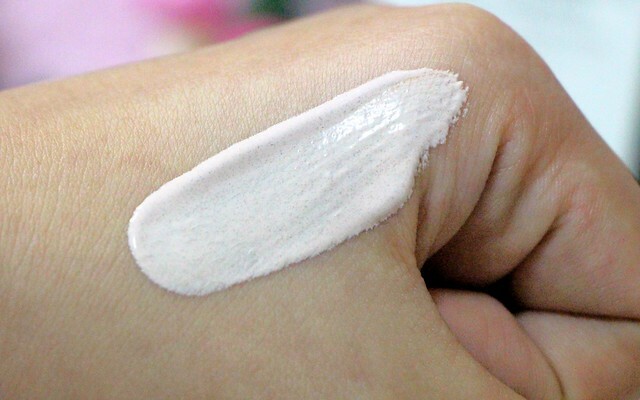 Also, two types of fermented filtrate and chrysanthemum indicum culture extract protect skin against environmental aggressors as a high-moisturizing skin treatment. Over 12 hours protection from UV prevents aging and skin damage caused by UV. UV protective effect of sun screening cream and skin protective layer of nutrient cream safety keep the skin. With low-irritant hydrating formula, various vitamins and plant extracts soothe sensitive skin and bring moisture and nutrients that are lacking. It gives tight adherence and covers blemishes and pores, fine lines, and uneven skin tone. Functional elements, adenosine and niacinamide infuse skin with freshness and comfort. It also helps defend against the signs of aging and the appearance of the wrinkles. After using 28 REMEDY skin care products, dispense an appropriate amount on your palm and use fingers to gently spread on your face and neck along the skin texture. The two products were put to several tests when I was in Batam. I wore them under the scorching afternoon sun when I did a photoshoot, slept with my face down in the pillow when I took a nap, and it also went under water in the pool during my evening swim! The results...? They lasted the whole day with no touch-up – I did blot a little with some blotting papers – and it looked absolutely perfect the entire time! I sported a healthy looking glow with the makeup on, and even after wiping all of my makeup off... the healthy glow never left my face. Somehow the ingredients in the makeup helped to improve and transform my skin. If you saw my video, my skin looked so dull and dreadful in the beginning!! I hadn't expect the products to be so good nor did I expect myself to fall so madly in love with it! 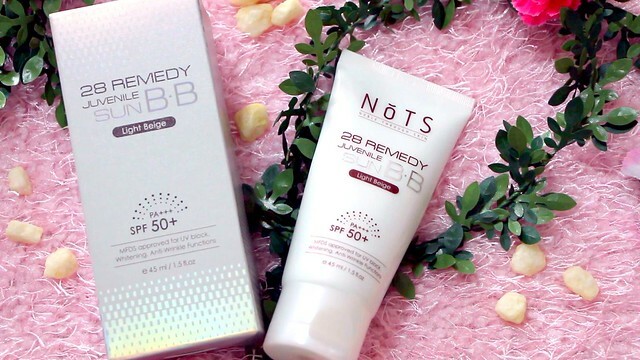 These two NoTS products are what my hand would instinctively reach for these days, and they have taken over the NUMBER 1 ranking spot in my make-up rack (previously possessed by Ettusais BB Mineral Cream). I highly recommend everyone to get these products and check out the other products from NoTS. The products can be purchased from SASA stores in Singapore starting 15 September.